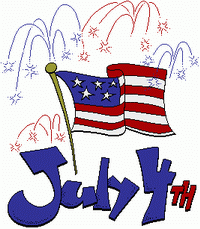 City Orlando – Hotspot July 4th! 98.9 WMMO Acoustic Cafe from 4-6 p.m.
Orlando Concert Band beginning at 8 p.m.
Local artists all from 4-7 p.m.
Our North Orlando Thurston House Bed & Breakfast accommodation is a perfect place to stay, only 5 miles from the downtown festivities! Make a long weekend of it, stay more than one night, and the innkeeper will give you a fantastic gift of two hand made artisian mugs from Deneen Pottery…a value of $36! 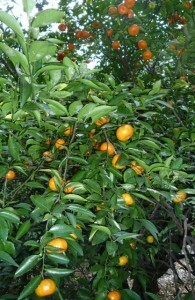 Stay at Thurston House and take home some wonderful and fresh picked tangerines. Thurston House is set amid 8 acres of land, only a small portion of the 160 acres that Mr. Thurston owned in the late 1800’s. Many of his grove trees still exist, and the tangerines are especially fruitful this time of year! I always get a kick out of watching the squirrels delicately eating a tangerine….amazing! Anyway, book your room, ask for a bag, pick some tangerines, and take home a very special gift from Thurston House! We spent a wonderful couple hours at Leu Gardens in Orlando this morning, just 15 minutes from Thurston House in Maitland. It is 52 acres of fabulous gardens and even an historic home to tour. They have over 2,000 camellia bushes, many that are out in full bloom right now. The rose garden is also magnificiant right now! It is a great place to stroll around, take some pictures or even get married! There had been a wedding there this morning before we got there. Just a perfect day for it! Plan ahead – Thurston House, Bed & Breakfast! Enjoy a romantic movie in a beautiful gardens setting. Patrons may bring a blanket or chairs and dinner picnic basket. Garden Admission is $7.00 plus tax adult and $2.00 plus tax child; Garden Members receive free admission on all Date Nights. Admission is collected at the door. Sponsored by Women in Film & Television Florida. These Leu Garden night events are always a wonderful and romantic way to while away the night. Pack a wonderful picnic, grab a bottle of wine and off you go…just a few minutes from Thurston House! 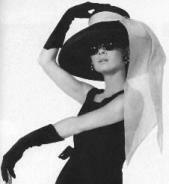 North Orlando – Leu Stroll…..plan ahead! Coming up in May- 5/9 – is one of our favorite things, a Spring Moonlight Jazz Stroll at Leu Gardens. Pack a picnic dinner, a great bottle of wine, and a comfy chair…the best way to enjoy this event. Tickets go on sale 4/27, so book your room at Thurston House now before it’s too late to plan. There is lots more to do here so plan a whole weekend in the area. Check out our Important Links page for more information. Downtown Orlando is only 5 miles from Thurston House and makes for a nice place to explore. 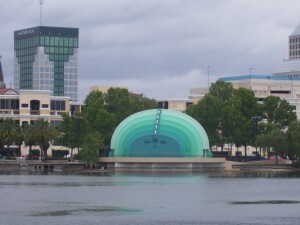 You can head down to Lake Eola Park and just stroll around. It makes for a nice, lazy day. There are swan boats to rent, interesting gazebo’s to sit in, a playground for kids, a WWII Battle of the Bulge monument (look for my Dad’s memorial brick, Corporal Albert H. Webber) and a spectacular fountain right in the middle of the lake. Every Sunday there is a great farmer’s market too!